Prime commercial 1.02+/- acres with 9,000 sq ft building with 3 tenants. 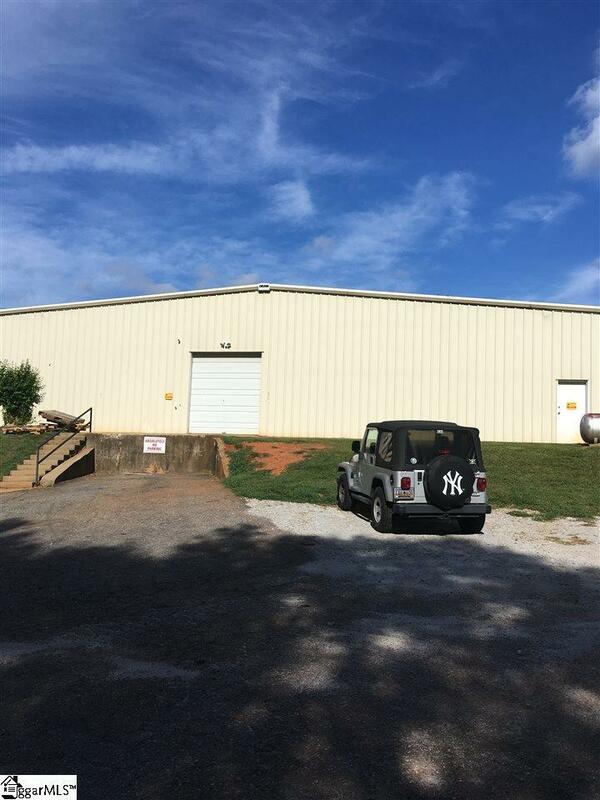 100% occupied office and warehouse space with positive cash flow rental. $4,200 a month for all 3 tenants. Additional 16+/- acres undeveloped land may be available. Fast growing area with frontage to interstate I-85. Directly across the interstate from BMW Plant. Quick Trip has opened on Hwy 101 South. Michelin Plant is under construction on Hwy 101 South, and soon to open. Peterbilt Trucking Company is open for business on Old Jones Road. Listing provided courtesy of Helen Fowler of Axcent Realty.